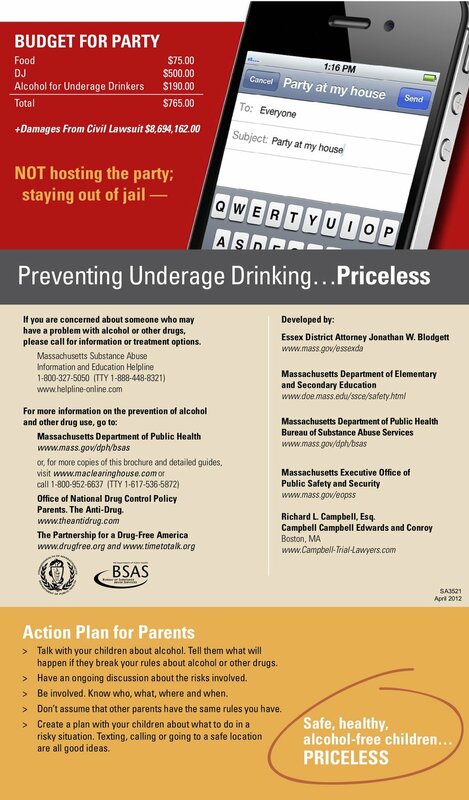 Preventing underage drinking is a community-based effort and we need your support to continue to nurture safe, healthy and alcohol-free children. 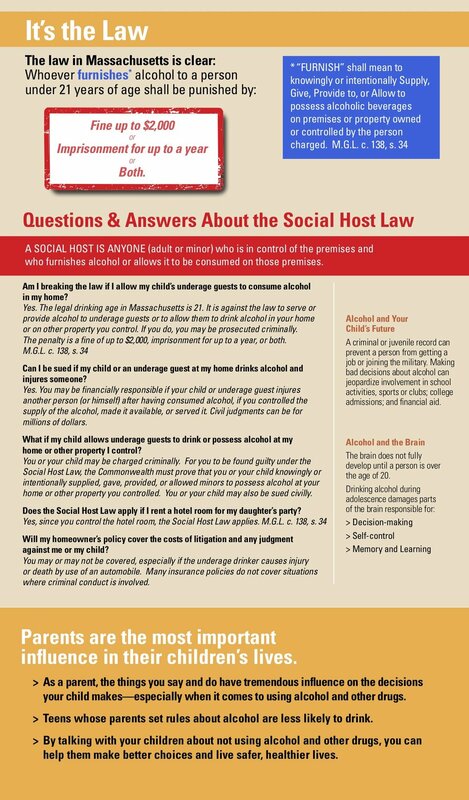 Social Host Liability is a Law in State of Massachusetts. Remember that a fine up to $2,000 or imprisonment for up to a year or both shall punish anyone who furnishes alcohol to a person who is under the age of 21 years of age. You have the most influence on your child; please take a few moments to talk to your child about setting clear rules about alcohol. *“Furnish” shall mean to knowingly or intentionally supply, give, provide to, or allow to possess alcoholic beverages on premises or property owned or controlled by the person charges. M.G.L. c. 138, s.34.